Program this one fairly quickly in the event log with an attractive desktop appearance. 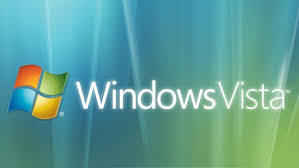 When the event was held Microsoft Professional Developers Conference 2005 in Los Angeles, United States, in September last, the participants received a surprise in the form of Windows Vista build 5219 that can be said as a Pre-Beta 2 version of Windows Vista. A quite unique from the build 5219 is called "Ultimate Edition" which can be found on the System Properties. It may be that this name was chosen because of the build 5219 combines all these features from the Windows Vista platform, ranging from Tablet PC to the Media Center. If the name of Windows Vista, immediately thought of the tagline is posted on the official website of Windows Vista, namely "Bringing clarity to your world". If the conclusion is simple, it can be interpreted sentence Windows Vista promises clarity in wandering in the virtual world they work at everyday. It is shown from a search function that spread everywhere, from the Start Menu, Explorer, to Internet Explorer 7.0 that is part of Windows Vista. With this search function, coupled with the function indexed by default that is active, you can easily find the documents in your computer based on its content or metadata. Facilitation is also used to find information on the Internet through a browser without having to be bothered opening the website of our favorite search engine. In addition to the search function, Windows Vista has a feature called Virtual Folders. Benefits that can be taken from Virtual Folders is that you can display all the documents you need in one place, even though the documents are scattered in a number of folders on your hard disk. Basically, Virtual Folders feature is the search results are displayed in a folder that are virtual. For example, you can easily view all the documents that you created inside a computer, by opening the Virtual Folder "Document" based on the author. Searching is easy: the search function can be found everywhere. But in terms of security?